La Salle University today announced a new partnership with Saxbys, offering a unique opportunity to its undergraduates: In Spring 2018, a Saxbys café will open on campus at Founders’ Hall that will be entirely operated and managed by La Salle University students as part of the Saxbys Experiential Learning Program (ELP). 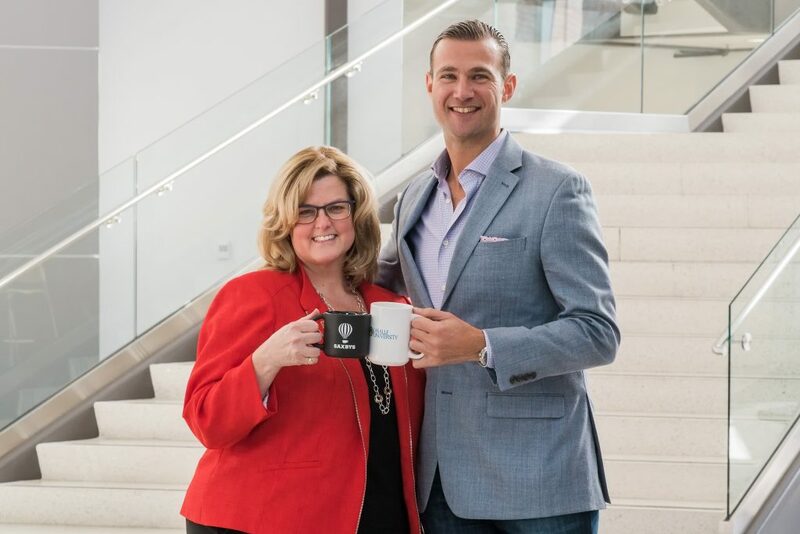 “Our Experiential Learning Program is an opportunity that impacts students, faculty, and the overall campus community,” said Saxbys Founder and CEO Nick Bayer. “Just as President Hanycz and her team have revolutionized the accessibility of a La Salle education via the tuition reset, this is yet another example of La Salle pioneering the future landscape of experiential education. Every six months, one student will be selected to work as the Café Executive Officer (known as the Student CEO) of La Salle’s Saxbys café. This student follows a curriculum of academic coursework concurrent with their tenure as CEO, and is responsible for making decisions on financial management, team development, community leadership, and the overall operations of the cafe. Student CEOs leading the café will earn a full semester of academic credit via a specially-designed credit schedule tailored by La Salle and Saxbys. Additionally, up to 35 part-time employment opportunities will be available for even more students looking for an on-campus job. La Salle University is the fourth institution of higher education in Pennsylvania to partner with Saxbys, joining Drexel University, Millersville University, and Temple University. For more information, visit SaxbysCoffee.com.